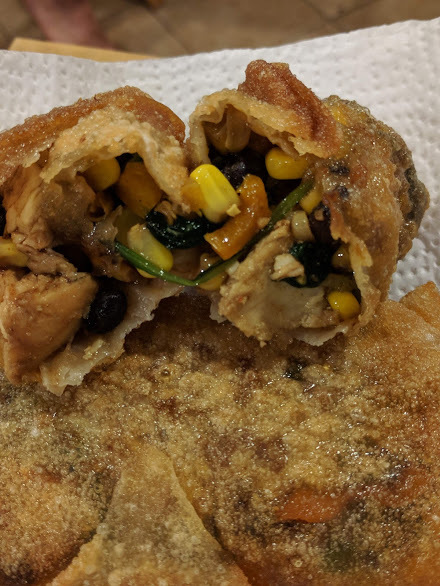 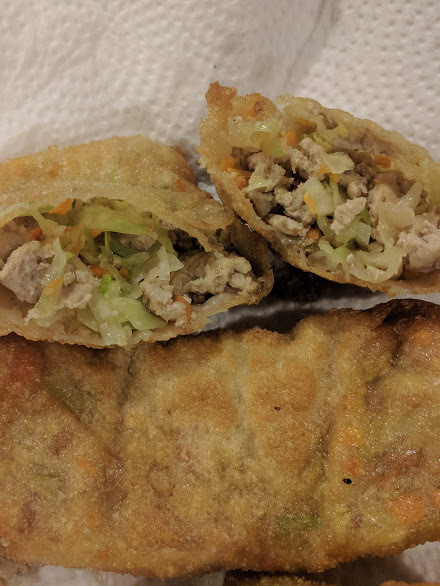 I have finished the Egg Roll Interlude making traditional egg rolls and southwest egg rolls. 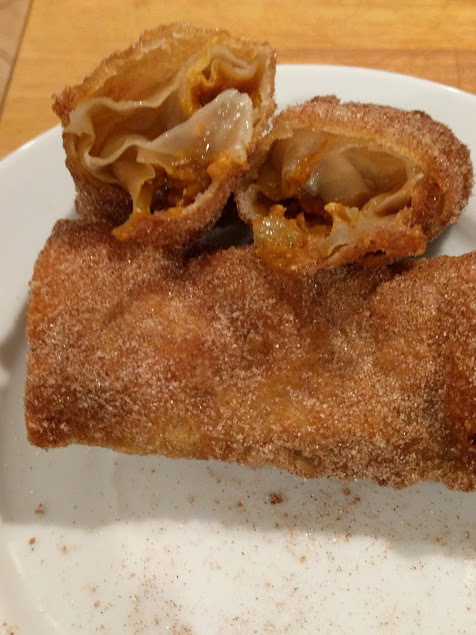 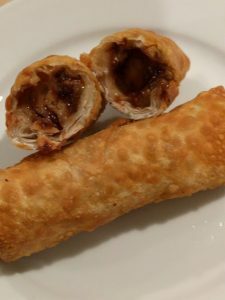 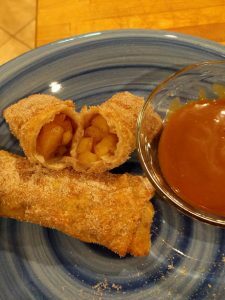 As well as some really great sweet ones: Pumpkin Pie Egg Rolls, Chocolate Chip Cookie dough Egg Rolls and Apple Pie Egg Rolls with Caramel dipping sauce. This entry was posted in Egg Roll Interlude by thora. Bookmark the permalink.